We’re really thrilled to launch a fabulous new heritage resource. 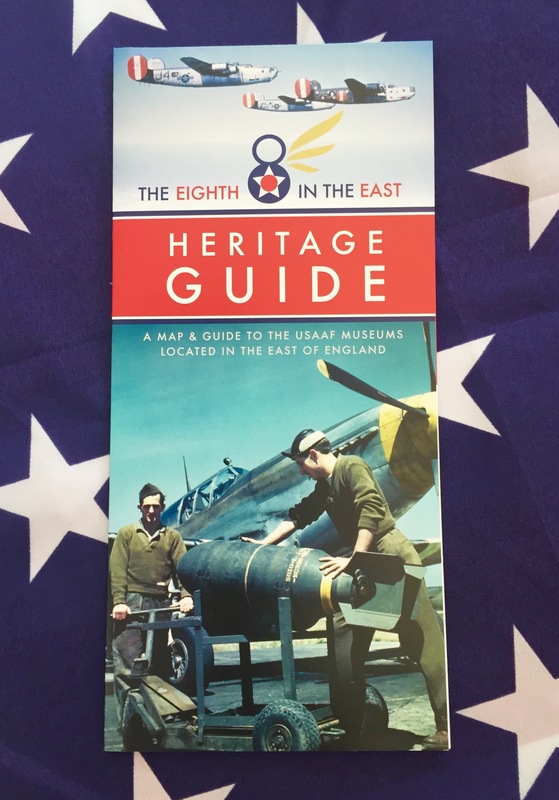 The guide will enable people to visit many of the wonderful heritage sites connected with the 8th USAAF – and discover some new ones along the way too. From small volunteer run museums to national cemeteries, archive centres and even quiet village inns, there’s sure to be something for everyone. The guide shares key tourist information and enables people to find out more about this incredibly important period in the region’s history. 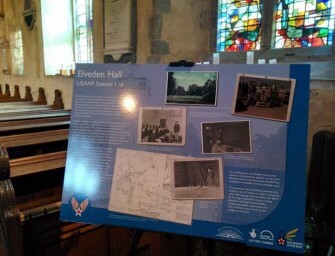 The leaflet contains a map to locate the sites, alongside museum information about opening times and collection details. 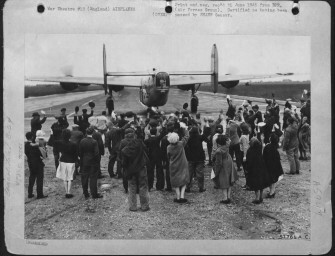 This brand new resource brings together, in one easy to use resource, many of the airfield museums located right across the East of England. 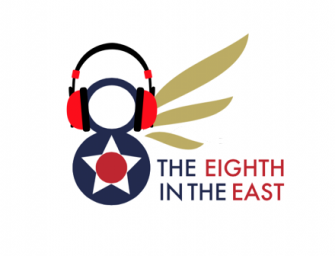 And what’s more, for the first time archive resources and heritage sites such as the Airmen’s Bar at The Swan feature. The guide will be available as a printed leaflet from tourist, heritage and leisure sites throughout the region and London. It is also available to download and will be complimented by a new online interactive version in the autumn. And more sites will be added over time as this great new resource grows. To order further copies please drop us a line.